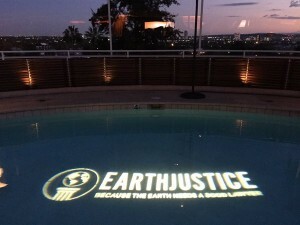 On Wednesday night at the Sunset Tower Hotel, the nonprofit environmental law organization, Earthjustice, held a classy, yet laid back, launch party for their newest office opening here in Los Angeles. Being an organization that is committed to the health of our planet and communities – and one that fights long and hard for the clients it represents – the overall theme and ambiance of the night was certainly that of determination, innovation, and commitment to a better future. In a dimly lit room with indoor and outdoor space, a DJ, and plenty of wine and hors d’oeuvres, guests mingled with one another for an hour and half before the night’s program began. After a brief introductory video, Andrew Reich, a co-host of the event, kicked off the first of the night’s speeches, welcoming guests and introducing the speakers to follow: Earthjustice President, Tripp Van Noppen, and Stacy Geis, a Managing Attorney of the California region. Both Noppen and Geis shed light on the company’s overall mission and its core values, as well as some cases that the company is currently working on. Earthjustice operates with three key goals: preserving the wild, fighting for healthy communities, and advancing clean energy and a healthy climate. Noppen notably stated in his remarks that, “making a serious impact for good…that’s what we all want to do. And that’s why we’re here.” He went on to affirm that the organization, “marries earth and justice;” and that ultimately the company is fueled by winning its cases, by partnering with a multitude of other organizations, and by the everyday people, like those in attendance, who provide donations and support. Geis spoke more specifically about LA and how Earthjustice plans to begin making its mark on the city (most notably, it’s poor air quality – Geis commented on the fact that California is currently the state with the worst air and that it has even experienced days with air pollution levels equivalent to those in Shanghai). New oil wells and maintenance of clean water were among other efforts mentioned. 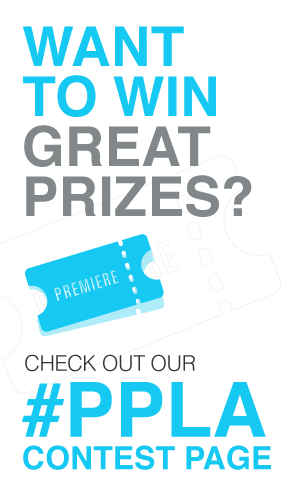 The new LA office is home to five attorneys for the time being. In a brief conversation, Sara Gerson, the Clean Energy Associate Attorney, highlighted her role within the company’s clean energy program – she is working towards making the air in this city safer to breathe. Her team’s current objectives include the electrification of large trucks and Diesel-run vehicles, as well as electrifying the machinery in LA’s beach-side ports. Two other attorneys of the office, Angela Johnson Meszaros and Oscar Espino-Padron, who focus on air/energy and healthy Communities, respectively, have already begun multiple projects in their fields as well. The evening was certainly a success and it was clear that Earthjustice is resolved to change; to solving the issues that not only Los Angeles, but that California and the U.S. as a whole, is currently facing. This organization is passionate about catching the environmental “bad guys;” it will be a true pleasure to see the justice it cooks up in a city with a great need for its services.